PGA Professional Jeff Coston of Semiahmoo G&CC and amateur Kyle Cornett of Inglewood GC won the Pacific Golf & Turf PNW Pro-Am Championship. 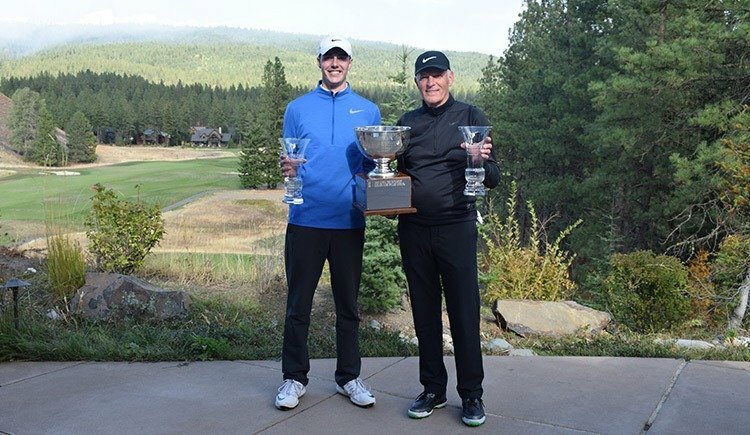 They posted rounds of 61-65-126, a fantastic -17-under par in the four-ball team competition at Tumble Creek Club and Rope Rider courses at Suncadia Resort. 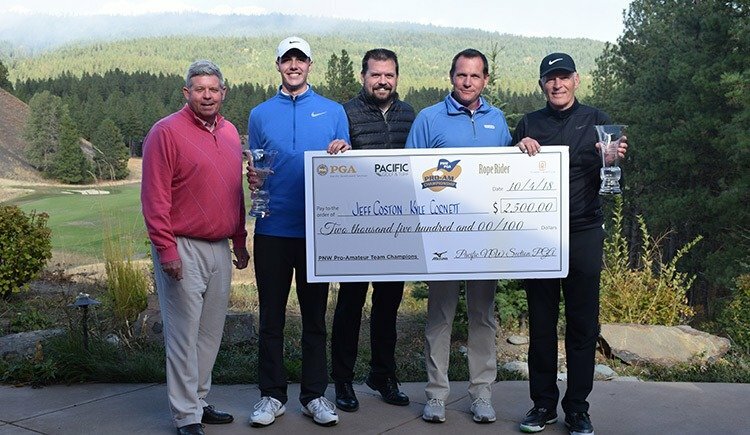 They won by four strokes over the team consisting of PGA Professional Jeff Gove (PGA Tour) and Darren Slackman of The Creek at Qualchan, as well as the team of PGA Professional Ryan Whitaker of Tumble Creek Club and amateur Dan Whitaker of Ellensburg G&CC. The Pacific Northwest Pro-Am Championship started when a young head professional named John Junor and his amateur partner won back to back titles at the magnificent Seattle Golf Club in 1924 and 1926 (no championship in 1925). Professional Walter Pursey and amateur Harry Givan topped Junor in the late 30’s with a three-peat victory at Seattle GC twice and Alderwood GC once. Don Bies holds the record for most Pro-Am titles (1961, 1964, 1966, 1984). Other greats such as Bunny Mason (1963) and Jerry Mowlds (1969, 1978) have all had their share of the title. Tumble Creek Golf Course, which opened in the summer of 2006, is a private club course designed by Tom Doak. It flows through forests, along the river bluff, and across expansive meadows creating an extraordinary golf experience. Rope Rider Golf Course opened the summer of 2011 and was named Best New Course of the Year 2011 by Golf Magazine. It is a beautiful Jacobsen Hardy course that tests experienced golfers with more than 7,300 yards.